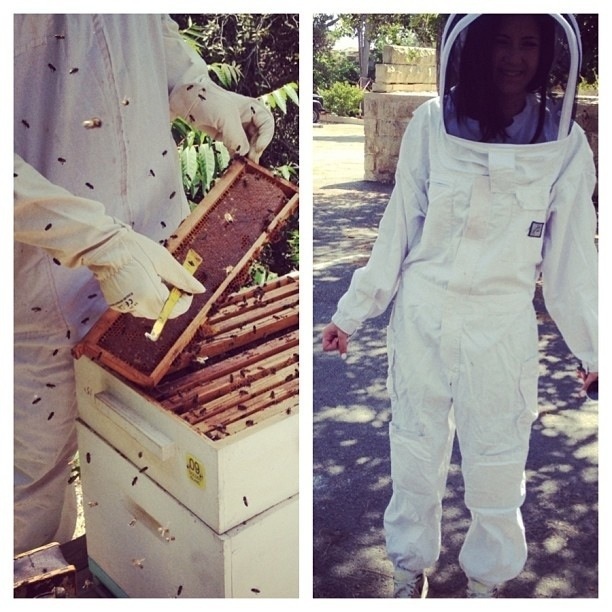 Last week we visited the hives of a reputable local honey producer and what an experience it was ! I made roast pork at home today and have been meaning to find different ways to include bee pollen in some dishes. It is a superfood and my jar looks like its full of little specks of gold dust. When I tried it last week I was pleasantly surprised by the delicate sweet nutty taste but it did have a slight after taste which left me wondering whether I really liked it. I suppose I could easily develop a taste for it even eating it as it is out of the jar but today I tried it with roast potatoes and it was quite delicious and the flavors of the honey and aniseed worked very harmoniously with the pork. It is a shame not to try to include this superfood in our diet as the benefits seem endless. Bee pollen is very high in vitamins and my doctor tells me that it is even known to benefit the immune system, reduce allergies and help with anxiety ! A tablespoon of bee pollen contains about 45 calories and it is best consumed raw to preserve its nutrients. I have a few more recipes lined up to try out over the next couple of weeks as I am quite determined to try and eat healthier food…. 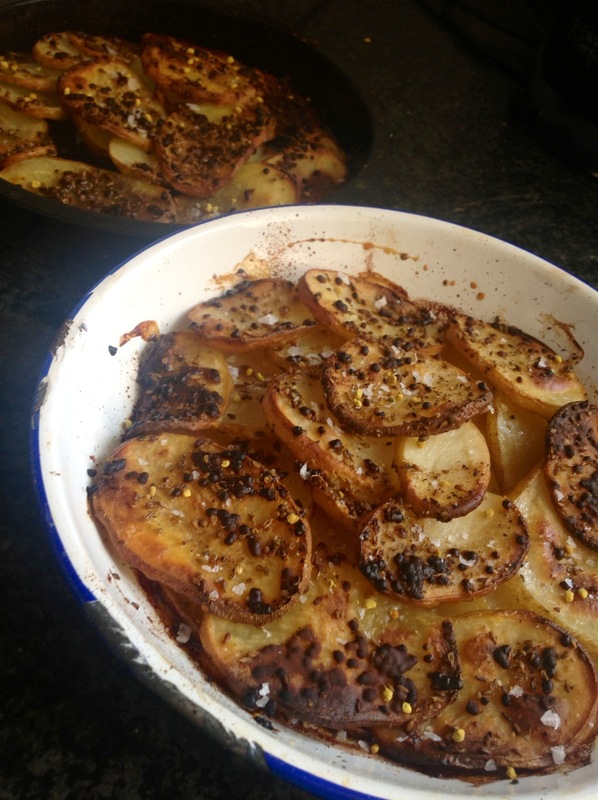 Cut potatoes into thinning slices and overlap neatly in an ovenproof dish greased with a drizzle of olive oil. When the dish is all covered with the potatoes, drizzle with a touch of olive oil. Do not overdo it. Very lightly drizzle honey all over the potatoes, but again do not overdo it. You do not want sweet potatoes. Season with sea salt and freshly ground pepper. Sprinkle with crushed aniseeds and bee pollen. Cook in oven for about 45 minutes depending on how crusty you like your potatoes. When you take out of the oven, leave to rest for 5 minutes and then sprinkle some more fresh been pollen. Accompanied with roast pork, this was delicious and we also had wilted spinach with it. ← Sharing with friends tonight: a most unusual Cold Minestrone….